Home › Partners › A new federation: way forward or cul de sac? A new federation: way forward or cul de sac? The workers summit of April 30 brought together 51 unions, including the 22 affiliates of Nactu. On its own that is an achievement and a gain. The final declaration of the Summit included a commitment to “founding principles”. 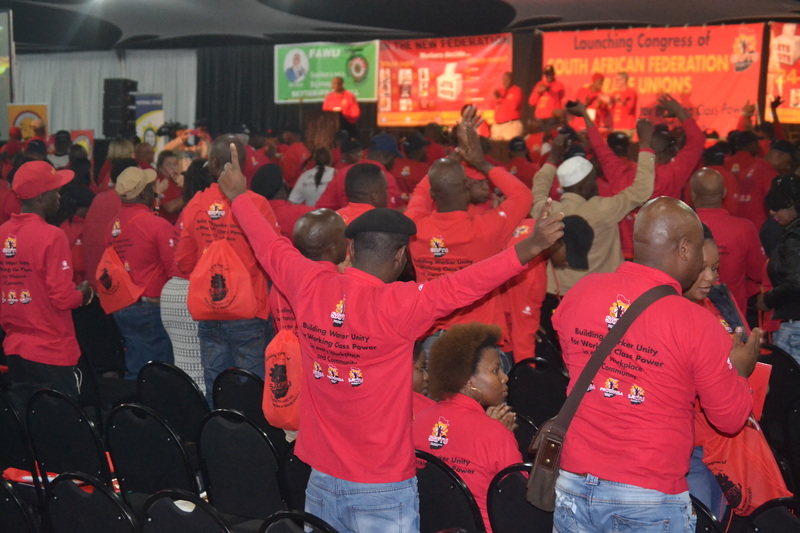 Most of them are little different from those of Cosatu – worker control, non-racialism and nonsexism, solidarity, internationalism and support for socialism are all features of the Cosatu constitution. • Organised “in the most effective manner to represent workers and serve their interests”, not necessarily based on industrial unionism. We look at each of these to see their potential as well as their pitfalls. And we ask: where have we got to? And what do we need to do now? “Within the federation, affiliates must have autonomy but not independence, but differences of opinion must be tolerated”. This is the way the Workers Summit digested the experience of the last couple of years. Remember, these were years in which Numsa was expelled from Cosatu for daring to raise debate about the federation’s policies. At first glance it seems to be a long way from the “democratic centralism” of Cosatu. But it’s not that simple. A glance at the discussion document on “principles” circulated at the Summit shows that confusion still reigns: “The culture of open democratic debate and tolerance shall be at the centre of the democratic practices underpinned by democratic centralism.” It’s time we took out this concept of “democratic centralism”, shook off the dust and looked at it for what it is. The sixth party congress of the Bolshevik party, in 1917, defined “Democratic centralism” in four principles. Two of them were on election of all “directing bodies” and accountability. They are not a problem for trade unions. Democratic centralism was devised as a system for running a political party. This party was operating in a highly repressive, autocratic environment, and in the process of making a revolution. • Neither Cosatu nor the new federation are political parties. They are mass organisations of the working class, containing workers who belong to many political parties or to no party at all. • Even if we may have to fight to avoid the return of a repressive environment, we are operating in a constitutional democracy, not an autocratic, repressive state. • It is not the primary task of a trade union federation to make a revolution. Numsa provides the best example of what happens when you try to operate democratic centralism in a trade union labour federation. Numsa was expelled. It was a minority in the structures of Cosatu. It insisted on raising debate, even though it was in the minority. 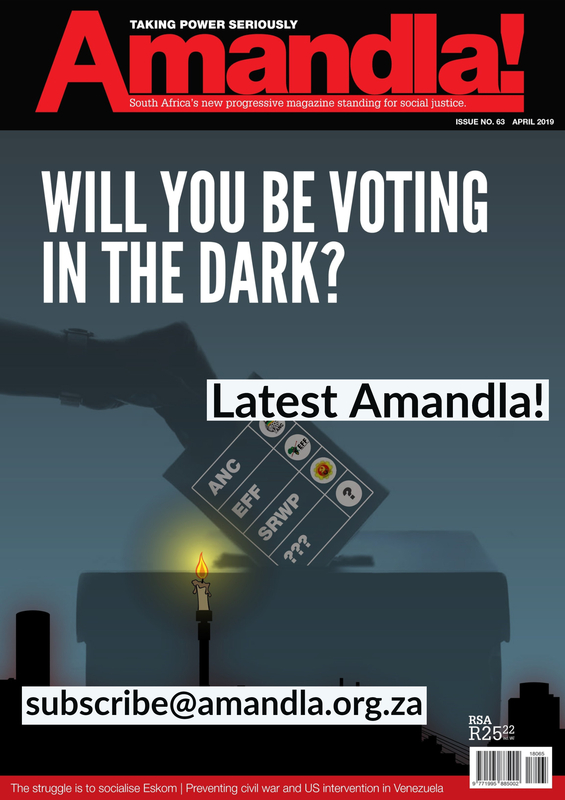 The majority followed democratic centralist principles: the decisions of the higher structures were binding on Numsa. Expulsion became inevitable. But masses of workers do not go out onto the street because they are ordered to do so. They go out because they support the causes of the action. So the task of the new federation is to persuade its affiliates and their members, not to instruct them. If we follow this principle, we will have political debates instead of constitutional crises. We will discuss the merits of policy instead of trying to expel each other. And we will mobilise the masses, instead of sending them to sleep with our endless quarrels. This is perhaps the most obvious lesson from the Cosatu experience. AMCU will also inject a powerful and useful voice for independence. It is likely to stand against any possible backtracking for any “working class party” that will arise in the future. Now we need to debate the limits to independence, if there are any. What could a new federation do and say in national, provincial and local elections? Where does the boundary of independence lie? Could the federation support particular candidates for a particular election? Or a party for a particular election? Or a party for elections in general? Last year the Mail & Guardian reported that Cosatu and its affiliates owned R20 billion of investments through their investment companies. While the Workers Summit came out clearly against “business unionism”, it didn’t make clear what that meant. One thing is certain: at least some of the unions who come to the new federation from Cosatu have their own investment companies. Can a union with an investment company be said to be self-sufficient? Surely it is precisely a union’s dependence on members’ subscriptions which obliges it to focus on its members’ concerns. We have seen the chaos in some Cosatu affiliates, where the main focus of leadership struggles is to get their hands on the loot from the investment company. Are we really intending to import that culture into the new federation? In his interview with Amandla! last year, Zwelinzima Vavi said “We must look at how we have controlled or failed to control the investment companies, and for what purpose we established them.” There is a danger that the new federation will end up debating how to control investment companies, rather than resolving, as they should, that they do not belong in any healthy trade union federation. We have to come to terms with the fact that “One industry, one union” has failed to keep pace with neoliberal industrial change. New service “industries” of logistics, catering, security etc. have been built from the neoliberal outsourced model. “One industry, one union” became a trap. It meant that security workers at a car manufacturing plant were told to go and join a union for security workers. They no longer belonged in the same union as the production workers. It meant that companies have broken up their production, and outsourced sections of it to so-called “logistics workers”. This has been a very successful coup on the part of capital. It has weakened unions and left workers powerless. It is clear that the only way forward for unions, at least in the private sector, is “value chain” organising. Manufacturing industrial unions must organise all workers in their plants, irrespective of their work. 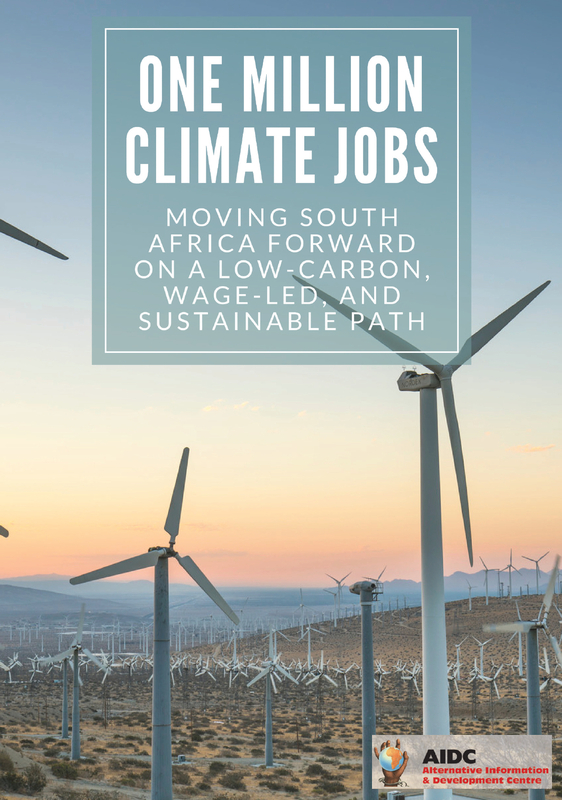 Organisation of workers must follow the value chain, from primary products such as mining or farming, through manufacturing to the sale of finished goods. While the new federation is not yet committed to this principle, it has at least broken with a commitment to organising according to outdated principles. “Craft” unions had to give way to “industrial” unions. “Industrial” unions must now give way to “value chain” unions. While it is not one of the founding principles, the declaration does include a commitment to organise the unorganised – it estimates they are 76% of workers in the formal sector. But Cosatu has been committed to this for many years. The declaration of the 7th Congress in 2000, for example, committed Cosatu: “to the campaign to organise the unorganised – including workers in the informal sector and other hard-to-reach industries”. Meanwhile, the percentage of workers who are trade union members has gone down. So commitments in declarations are not enough. What is enough? The “Principles” discussion document tabled at the summit opens up one area. On subscriptions, it suggests the need “to be flexible enough to cater for the thousands of marginalised and vulnerable workers who do not have a regular income, let alone an employer willing to deduct union subs”. Many of the ways that permanent, full-time workers organise in trade unions may not be suitable for precarious workers. How do precarious workers, who may not have a job next week, elect Office Bearers for a four-year term of office, for example? All of these areas of debate, and more, must be opened up for discussion by workers on the ground, in the period leading up to the launch of the new federation. That will not happen automatically or by chance. The 51 unions will have to work to achieve it. We must engage with younger workers on social media. We must conduct workshops and seminars. We must write and publish pamphlets, newspapers and journals. Workers come to this federation from different traditions. They bring different experiences and opinions. Only by mobilising these can the new federation learn from history and make it. Otherwise we will just repeat it.